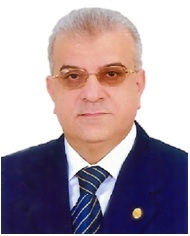 HISHAM HUSSEIN IMAM currently working as a Chief of Medical Staff & Consultant of Obstetrics and Gynecology, Al-Ahsa Hospital. And also as a Professor in the department of Obstetrics & Gynecology at El- Minia University. He visited and shared the activities of IVF/ICSI of Charitie University and Fera Centre. He has Fellowship from society of Assisted Reproductive technology.